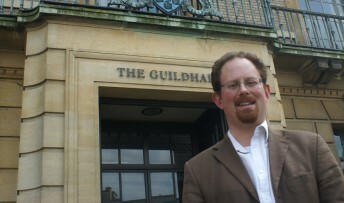 A campaign to stamp out unpaid long-term internships in the offices of politicians and political parties has won the backing of Cambridge MP Julian Huppert. Julian, who has a three-month intern earning the living wage of £7.45 an hour in his Cambridge constituency office, has also backed the call for a Westminster Hall debate on the issue. The campaign, Getting our House in Order, urges politicians of all parties to stop offering long-term unpaid internships. Julian said: “The job market is tough for our young people and they know that, without work experience it is very difficult to find a job; but that doesn’t mean we should expect them to give their time for months on end for nothing, just to gain that experience. “I believe internships are an excellent opportunity for young people but I also know they do some extremely valuable work for which they should be paid. I am delighted to be able to offer a three month Living Wage paid internship in my constituency office and I have had the help of some very talented young people.